This research recalibrates the concept of moderate drinking and gives a more complicated, nuanced interpretation of how alcohol affects cardiovascular health for better or worse. A sweeping international study of alcohol consumption has found no overall health benefits from moderate drinking and calls into question the U.S. guidelines that say men can safely drink twice as much as women. The threshold for low-risk drinking, the researchers found, is about seven beers a week for men and women alike. The new report, published Thursday in the Lancet and boasting 120 co-authors, aggregated data from multiple studies of drinking patterns and health outcomes among nearly 600,000 people in 19 high-income countries. Strikingly, the data did not show a significant difference between men and women in the amount of alcohol that can be consumed without a drop in life expectancy. That directly contradicts U.S. government guidelines that define moderate, “low-risk” drinking as two drinks a day for men and one drink for women, with a limit of 14 a week for men and seven for women — with lower levels for people over the age of 65. There’s a transatlantic difference of opinion about drinking limits for men and women. Two years ago, the United Kingdom revised its moderate-drinking guidelines, reducing the limits for men to the same level as those for women. The new study says the United Kingdom got it just about right. “When the U.S. reviews their guidelines, I would hope they would use this as evidence to consider lowering the guidelines for men probably in line with female guidelines,” the study’s lead author, Angela Wood, a senior lecturer at the University of Cambridge, told The Washington Post. This research recalibrates the concept of moderate drinking and gives a more complicated, nuanced interpretation of how alcohol affects cardiovascular health for better or worse. That interpretation is not likely to be welcomed by the alcohol industry, which has embraced the idea, backed by the medical establishment, that moderate drinking may be good for you by lowering the risk of a heart attack. Wood and her colleagues did not find an overall health benefit. The aggregated data did show that moderate drinking is associated with a lower risk of nonfatal heart attacks. The common explanation is that alcohol can boost high-density lipoprotein cholesterol, the “good” cholesterol, which can be protective against arterial blockages. But alcohol consumption, even at that allegedly moderate level, is also associated with a suite of cardiovascular problems, including stroke, aortic aneurysm, fatal hypertensive disease and heart failure. The data show that the bad effects offset the good. “Drinking more may reduce the risk of nonfatal heart attack, but actually, let’s balance that against the higher risk of stroke and other fatal cardiovascular diseases and shorter life expectancy,” Wood said. Alcohol consumption is also associated with higher risks of several types of cancer, including breast cancer. The new study confirmed an association between drinking and cancers of the digestive system. The new research does not suggest that a drinker who has just a little too much every day is falling off an epidemiological cliff. Instead, a little bit too much causes a little lower life expectancy. But as the drinker ventures further beyond the threshold, the life expectancy continues to erode in dramatic fashion. 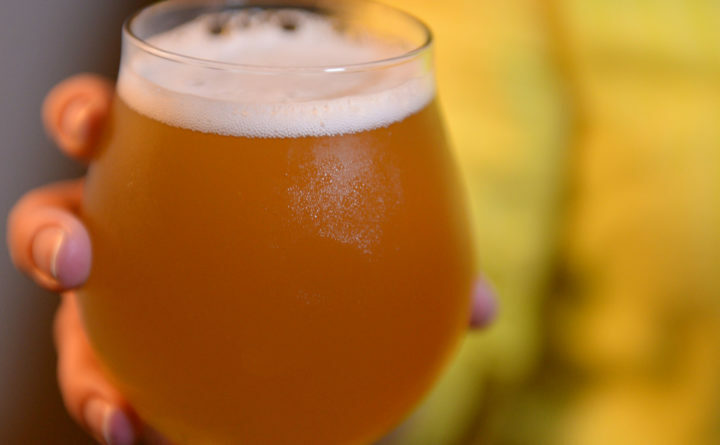 Wood and her colleagues found that the threshold for health risks is 100 grams per week (about the alcohol in seven standard American beers, though craft beers have higher alcohol content). The drop in life expectancy for a 40-year-old who drinks between 100 and 200 grams is six months, on average, compared with someone who drinks between zero and 100 grams, the study found. Drinking 200 to 350 grams was associated with a one- to two-year decline in life expectancy, and drinking more than 350 grams corresponded to a four- to five-year drop, on average. These warnings should be heeded by physicians when talking to their patients about their drinking habits, said one of the study co-authors, Dan Blazer, professor of psychiatry emeritus at Duke University School of Medicine. “I think this is perhaps a good warning that even what they may consider to be moderate — which might be a couple of drinks a day, every day of their lives — may be too much,” Blazer said. He added that he would like to see the country embrace a public health messaging campaign focusing on the health dangers of excessive drinking.